There’s a reason why people keep going back for grilled meat despite the fact that it leaves them smelling strongly of food and smoke – barbecued food is simply too good to pass up! Here are some places in Bangkok you can get your grill on. This takes cheap BBQ to a whole new level – this free flow meat buffet will only set you back about 190 baht. It’s usually packed with locals instead of the usual hordes of tourists, so you know you’re at the right place. It’s truly the perfect place to fill your stomach without burning a hole in your pocket! Tired of slaving over hot coals? Have someone do it for you at Riverside Grill! 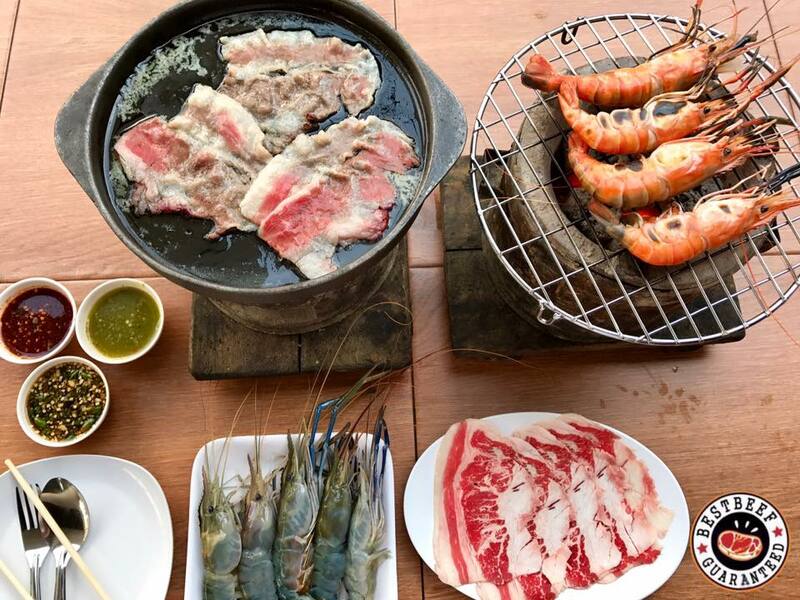 Sit back, relax, and soak in glorious views of the Chao Phraya River while tucking into deliciously juicy Wagyu Beef Rib Eye or succulent grilled Jumbo Prawns. Life doesn’t get any better than this! BAR-B-Q Plaza is a popular chain restaurant you can find all over Thailand that serves high-quality meats (including luscious cuts of kurobuta black pork) for just 400 baht! This establishment is favoured by both locals and tourists alike, so power through the long queues to get yourself a seat – we promise it’s worth it. This popular restaurant in the heart of Bangkok is a hotspot for everything and anything grilled – head on down for deliciously tender Australian Black Angus Ribeye steak, tender and juicy Pulled Pork burgers, and everything else you could possibly want. The best part? You don’t have to do any of it yourself! If you’ve already had your fill of Thai barbecue and you’re craving something else, Salang’s here to save the day with delish Korean BBQ! It’s one of Bangkok’s most popular K-BBQ restaurants, so come on over and stuff yourself with all the flavoured meats, ddeokbokki, and kimchi soup you can possibly fit in your stomach for the price of 330 baht. 499 baht for all-you-can-eat Japanese BBQ? Count us in! This well-loved yakiniku restaurant has a wide array of beef, pork, prawns, squid and other delights marinated in their well-loved special sauce that gives the grilled meats a sweet yet savoury taste – we promise you’ll leave satisfied!